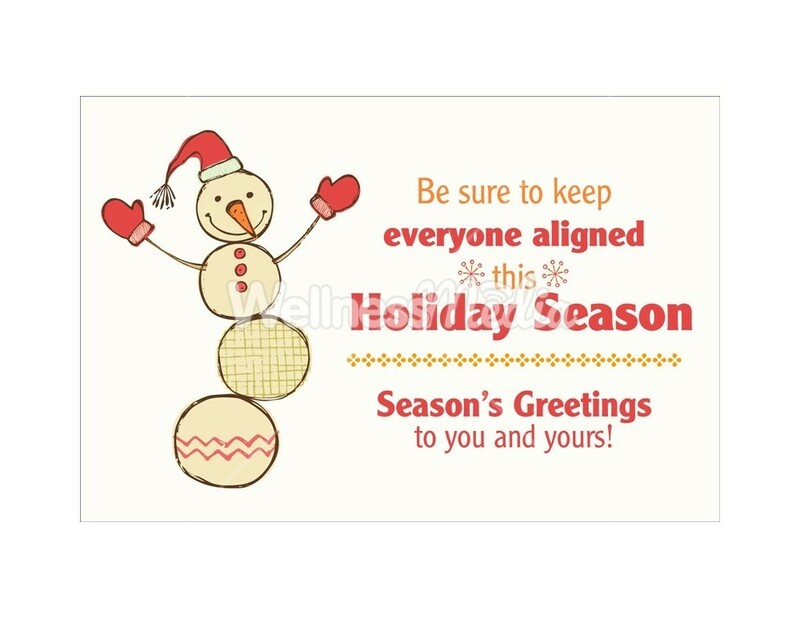 This chiropractic holiday postcard features a fun "misaligned" snowman design that will grab the attention of your patients. 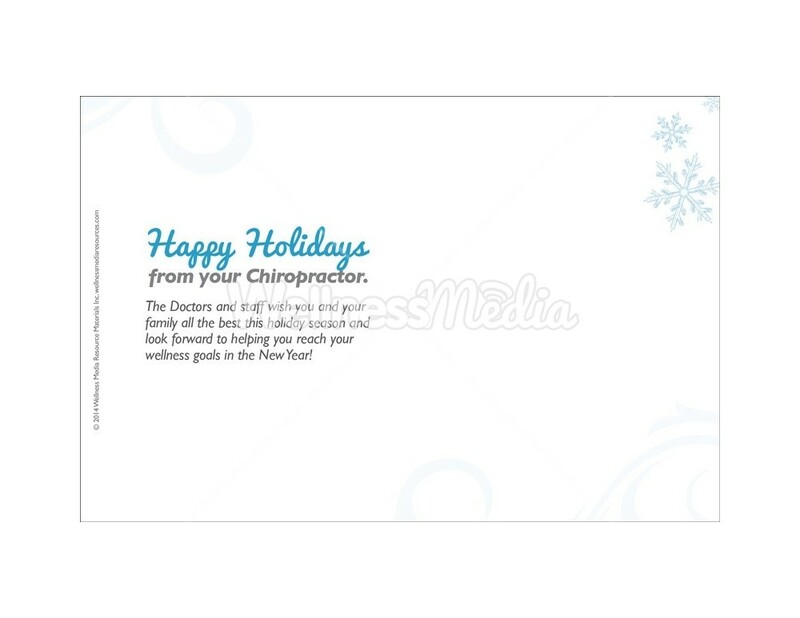 Text on Reverse: Happy Holidays from your Chiropractor! The Doctors and staff wish you and your family all the best this holiday season and look forward to helping you reach your wellness goals in the New Year!